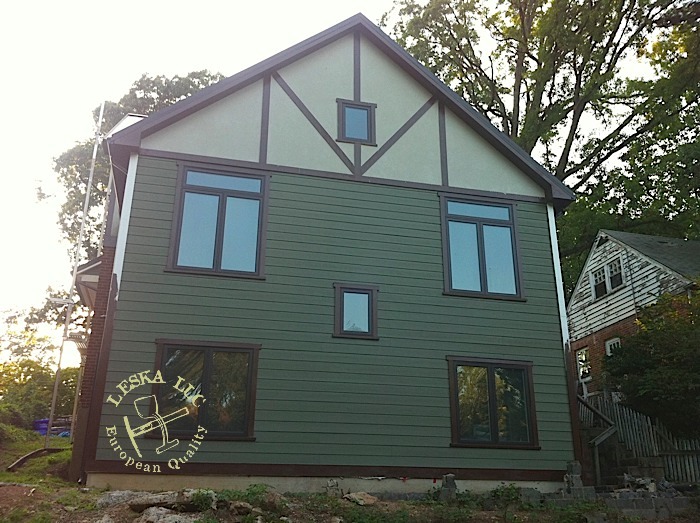 This home have received lots of unique and hard to see details on homes of this size. 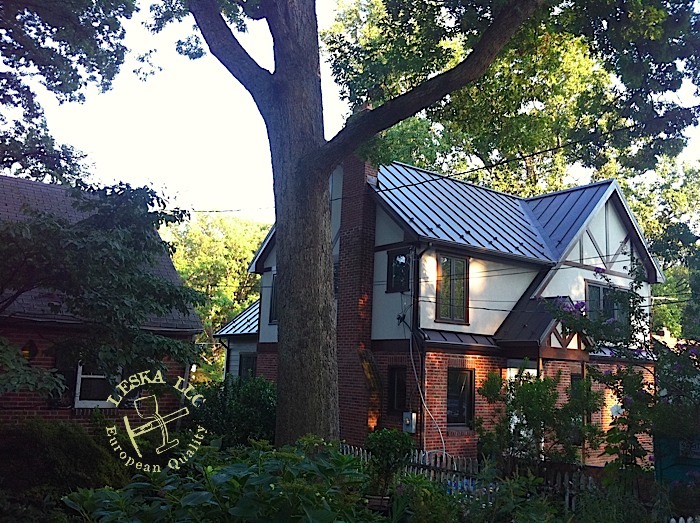 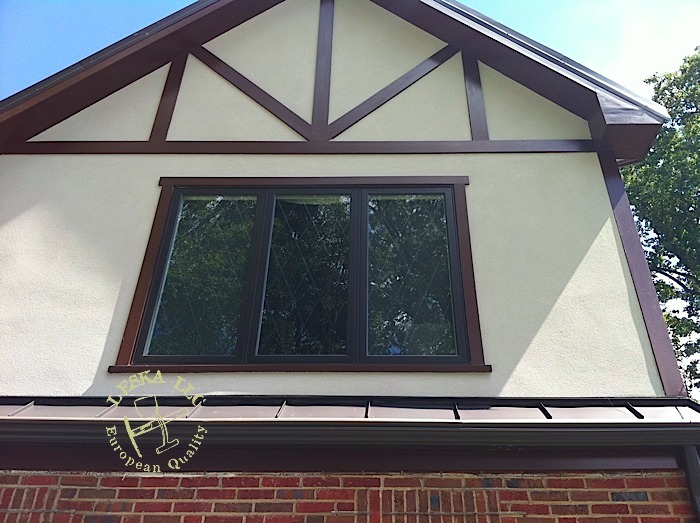 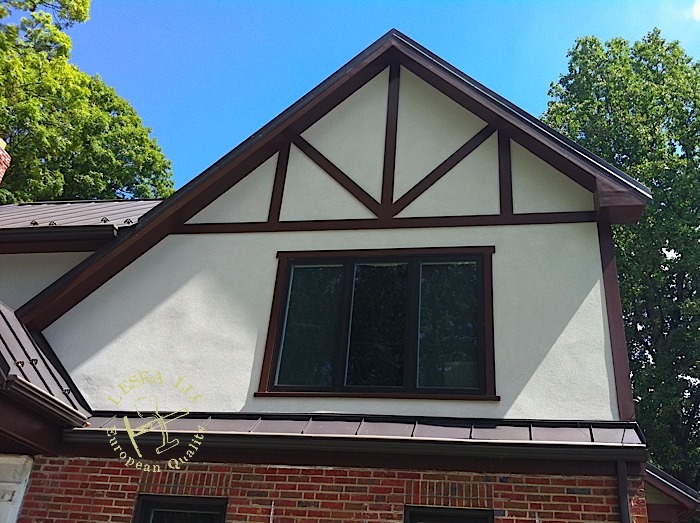 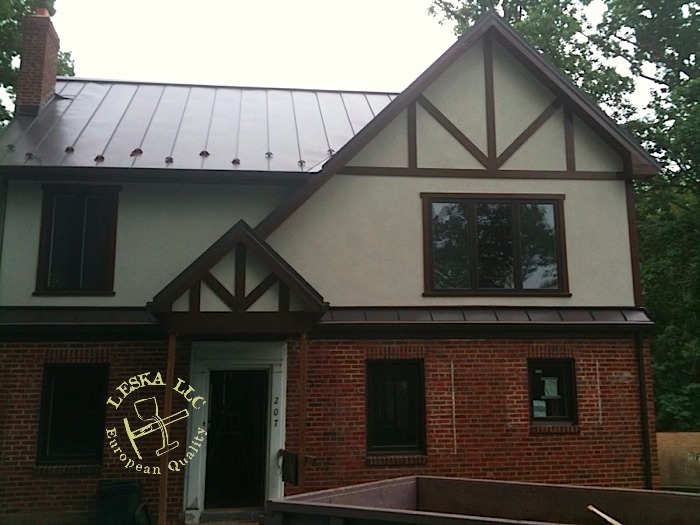 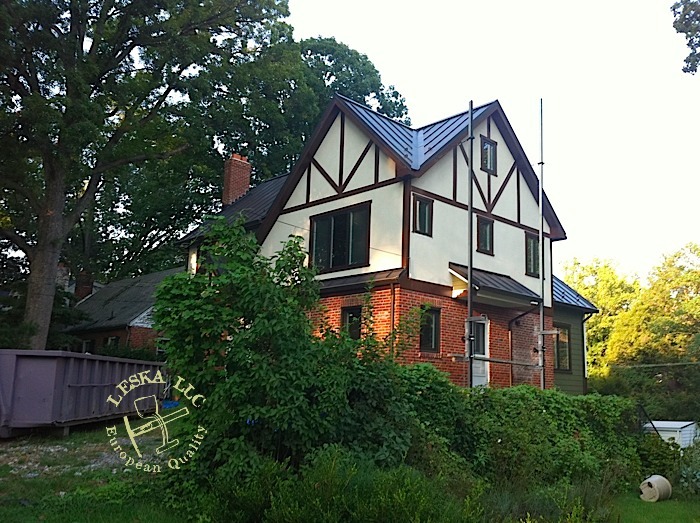 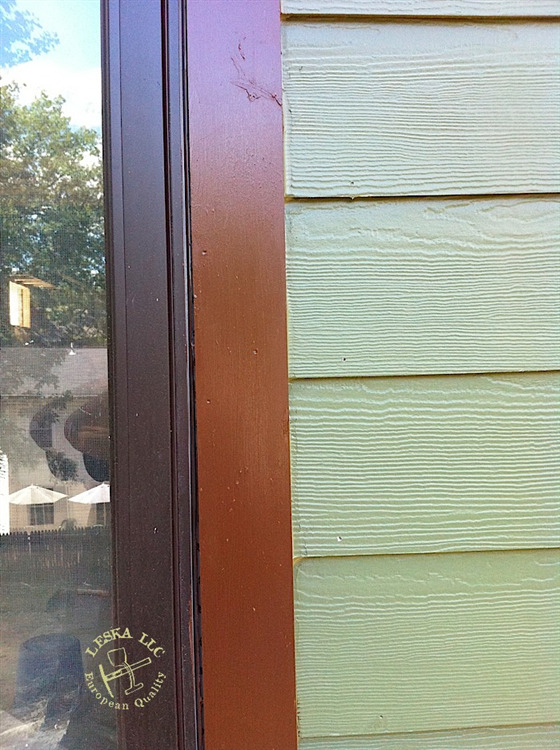 Total wall 3/4" hard coat stucco was installed on this addition installed by Leska LLC. 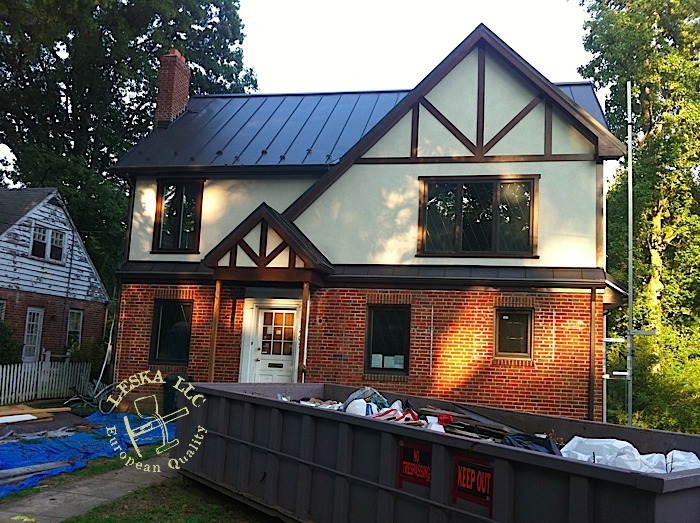 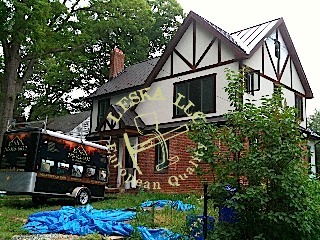 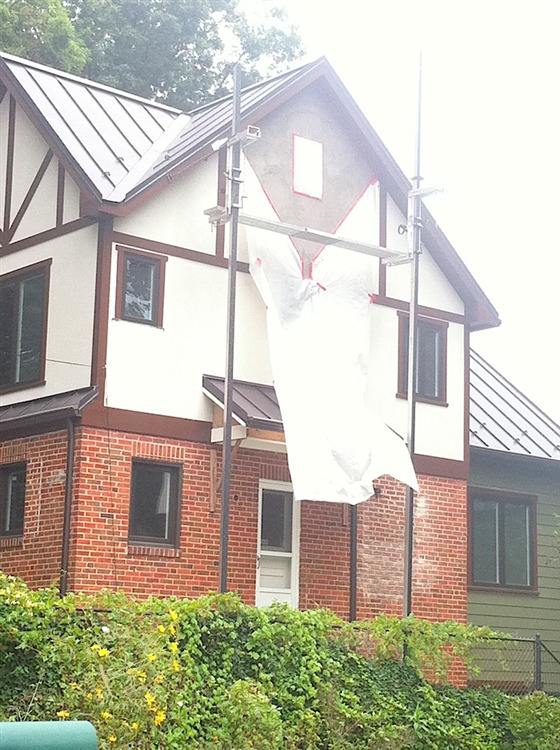 This home is located in Silver Spring MD. 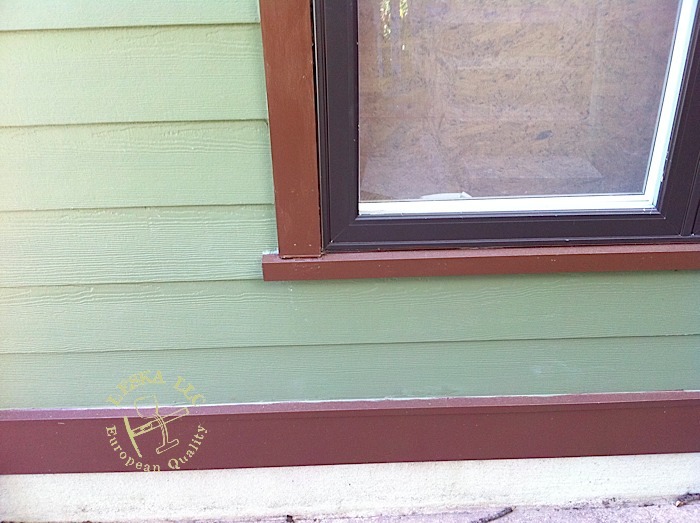 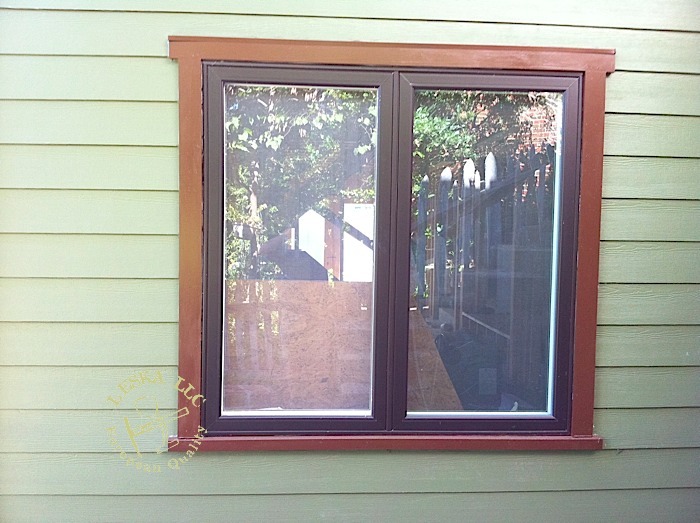 Back side received James Hardi pre painted siding and stucco combo to save some money Because customer wanted to have option to changes trim colors herself Azek PVC trim was installed around all doors and windows. 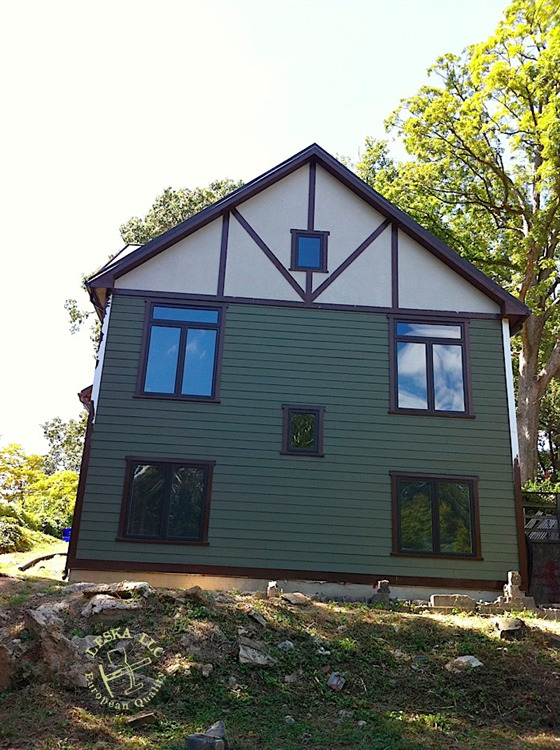 The rear of the house has James Hardi horizontal siding installed.